Johnny Madge came to Italy in 1982 to study his favorite architect in Rome. After a year he wanted to get his own hands on the marble and learn to restore the very same churches and palaces that he’d be looking at,so he headed off the Carrara (the same place where Michelangelo sourced his marble). In the end, instead of restoration Johnny became a marble sculptor and letter-cutter for tombstones! But his passion for olive oil had started from the very beginning of his stay in Italy. 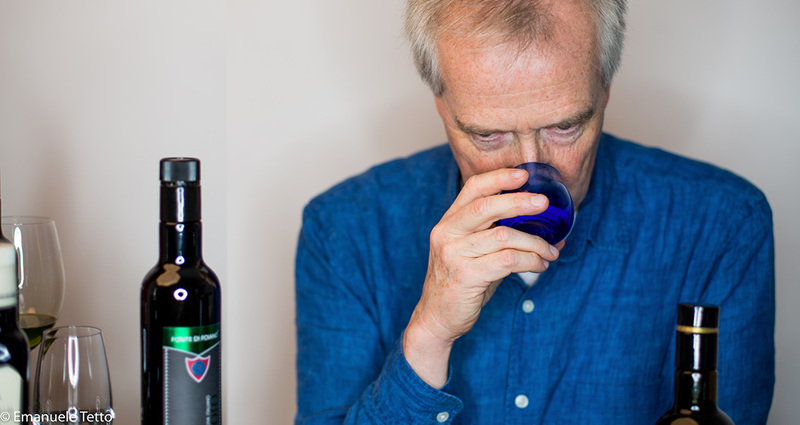 In 1982 Johnny was invited to a lunch in Umbria where, on the table, was a bottle of freshly-made olive oil. As is was poured (not drizzled!) on bruschetta, then a soup full of beans and, in the end, even onto a grilled steak Johnny realised that this was an ingredient like no other. It was love at first sight, smell and taste. 4 years later Johnny found a ruined farmhouse in the middle of an olive grove and, before buying it, tasted some locally-made oil. “If the oil is good we buy the house.” They bought the house! From then on Johnny got deeper and deeper into his passion for olive oil: experimenting with mills and talking to as many local producers as possible but it took some time for him to meet someone who was really making quality oil and from whom he began to learn the principles of good practice: perfect olives crushed immediately in clean mills. 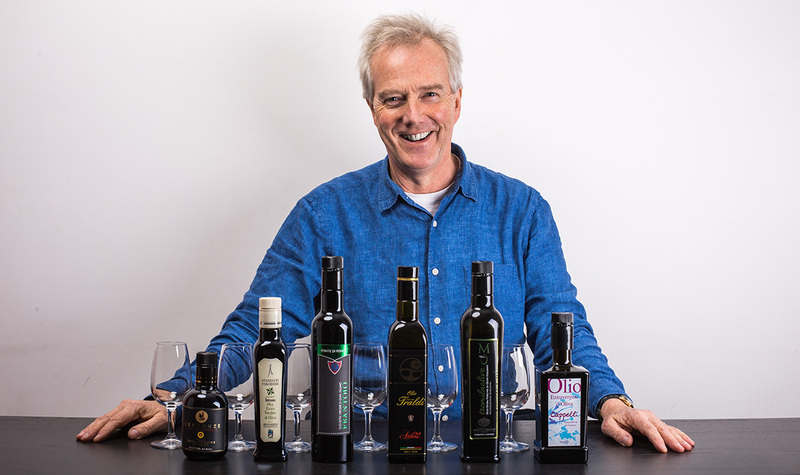 In 2004 he started tasting for the Slow Food Extravergini Guide and then, being the only Brit with such a crazy craving for good olive oil he began to get noticed and was invited to New York to talk about bitterness in olive oil at the First International New York Olive Oil Competition. Since he has been judging at Olive Japan in Tokyo, Athena in Greece, Ariston in London, Izmir in Turkey.